Last week we got a mailer from the US Postal Service. I didn’t look at for a day or so figuring it was just run-of-the-mill junk mail. When I had a moment – I checked out the pamphlet and soon discovered the post office will send you free shipping boxes AND even pick ’em up from you at your front doorstep! How’s that for beating any holiday stress?! How can I get free boxes and pick-up? It’s no secret the USPS is struggling a bit. I think they are in a little bit of bind with less and less folks sending packages and mail and opting for digital greetings and messages. Now, you don’t need a smartphone to do all this. All you need is access to their website at www.usps.com/cheer and you can get the free shipping boxes and mailers, track packages, etc. On the app – there is a “Get Supplies” feature that will allow you to order free boxes and mailers of all different sizes (not sure if there is a limit on how many you can order) and have them sent right to your doorstep. This is a great benefit for those who may be too far from their post office, too busy or incapable of getting out of the house. To order stamps – you’ll want to stay on their website too. This is going to be the easiest way to check out the stamps they have available and to order custom postage for your large Christmas packages. Print off your postage and slap it on your free boxes! 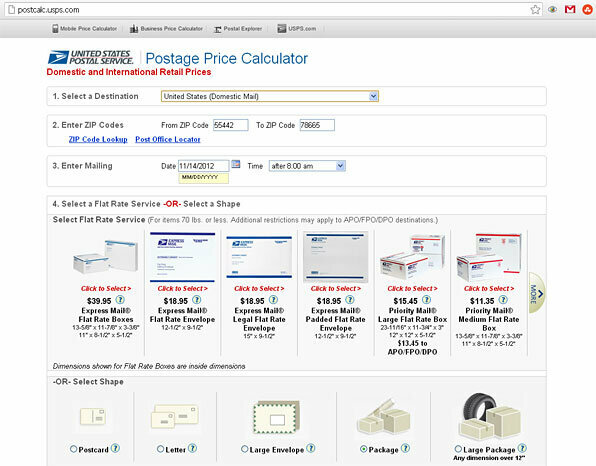 Savings tip: The postage that you get online can be cheaper than at the Post Office. In one package that I was looking at sending, the difference on an Express Mail package was almost $14 ($54.30 to $40.76 = $13.54 savings!). The only catch is that you’ll likely need to use the USPS’s “Hold for Pickup” service (recipient goes to their local PO to pickup). So, after you’ve got your free shipping boxes, your discounted online printed postage – you’re ready to have those Christmas packages picked up and sent off by Santa – er MailPerson. Easy breezy. 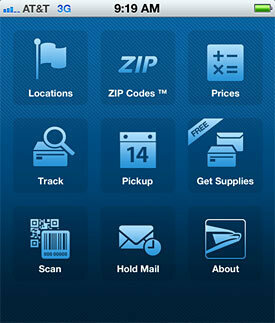 All you need to do is to click on your USPS app and hit the “Pickup” option to schedule a pick-up of your gifts. This is free of charge and you can even schedule up to 90-days in advance (but I don’t know why you’d do that). Again, you don’t need the app to take advantage of this service. Simply visit their “Schedule a Pickup” page on their website and fill in your details. Any other holiday shipping and packaging tips you have to share that might benefit other readers?